Nearly 60 years ago, Chaudhary Mohammad Hussain, a schoolteacher and petty landlord of Jhang saw a vision during that Friday noon prayers. The vision revealed he would have a son and his name would be Abdus Salam. And Chaudhary Mohammad Hussain’s son got that prize too. When I called on Professor Abdus Salam at the Imperial College, London, for the interview, he had an important man in his office: John Thomson, Britain’s Ambassador to the UN, who had flown from New York to supervise the photocopying of the Nobel award his father had won. It was for the Imperial college records. Professor Abdus Salam, also an Imperial College student and now head of its Theoretical Physics Department for over 20 years, also had a copy made for the Imperial College records of the Nobel award he won in 1979 for his outstanding and historical contribution to physics. “J.P. Thomson’s diploma seems to be in very good hands,” I said. “Where is yours?” Professor Salam smiled. I couldn’t tell if it was a sarcastic or sad smile, for his almost white beard was hiding the view. 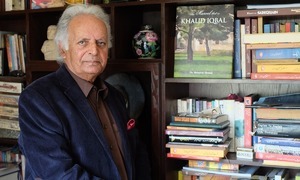 “I’m not sure if my children know where it is, but I’m sure that the students of my college (in Pakistan) don’t have an opportunity to even look at a photocopy and take pride for I was never asked for a copy or any Nobel Souvenir.” I knew his eyes, hidden behind his thick glasses, were misty. The professor did his M.A. from Government College Lahore, then taught there for several years, and even supervised the college football team. But the college is not interested in any souvenir from its most illustrious son, the first scientist in the Muslim world and the first Pakistani to win the Nobel Prize. 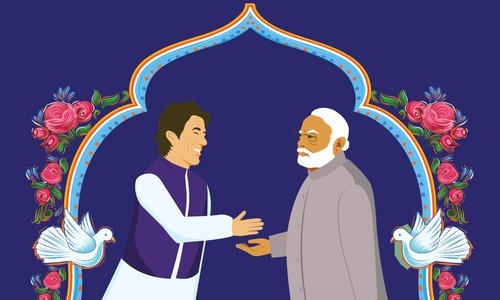 After winning the prize, he was invited all over the world, honoured by universities in all continents (including Aligarh Muslim, Guru Nanak and Banaras Hindu universities in India), but not by his alma mater. This pathetic indifference and prejudice against the man who has brought more honour to the country than any other man of science, is not restricted to his alma mater; it typifies the attitude of Pakistan and Pakistanis towards Abdus Salam, who has made his indelible mark on the history of science, and the Abdus Salams who have been and are being lost due to the prejudices against scientific thinking and the twisted value system of our society. But nothing has — or can — deter Professor Salam. 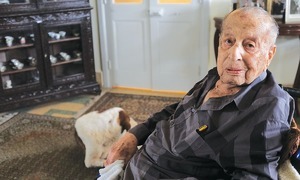 Ever since World War II saved him from the Civil Service and Government College, Lahore’s principal saved him for scientific research by declaring in his report that “Salam is not a good teacher," he has never stopped. Nearing his sixties now, the Jhang-born Rajput has conquered one country after another, winning more international prizes than the years he has lived, including the Atom for Peace Prize, Unesco’s Einstein Award, the British Royal Medal, the Czech Peace Medal and Cambridge’s Hopkins and Adams prizes. He won the Nobel for his theory of gauge unification of weak and electro-magnetic interactions, which postulated that two of the four forms of energy are one and the same, revolutionizing the world of theoretical physics; and now stands a strong chance of another Nobel, and a place in history with Newton and Einstein, if his vision of a unitary energy form is proved by experiments currently underway. I don’t think there is any dearth of talent in our country or the Muslim world. We have succeeded whenever the opportunity has arisen. One would have thought that a scientist so involved with advanced and theoretical physics, would be dry, uninteresting or at least preoccupied with his research. But not Professor Salam. He is an active and passionate campaigner for the advancement of sciences in the developing countries, the Muslim world in particular, and for the cause of the Third World. The International Centre for Theoretical Physics in Trieste, Italy, which he founded and has headed since its establishment in 1964, is a unique institution where physicists from the Third World come into contact with Western physicists and carry on their research. He is also one of the 17 “wise men” who advise the UN on how to promote the use of science for the benefit of peace and humanity. He has held many other distinguished positions at the UN, where he has forcefully pleaded the case of the Third World. Pakistan has always been his strong — and weak — point; he had used all his influence and the money he received from the prizes for the advancement of scientific research in Pakistan. Professor Salam was the first Nobel Laureate to start his acceptance address with a recitation from the Holy Quran. He was also the first one to wear an achkan, shalwar, turban and khusa shoes at the ceremony, and the first to bring his grandsons to the ceremony; they had to be attended by a lady from the Foundation to ensure that they did not make their own acceptance speeches. Shahid Nadeem. 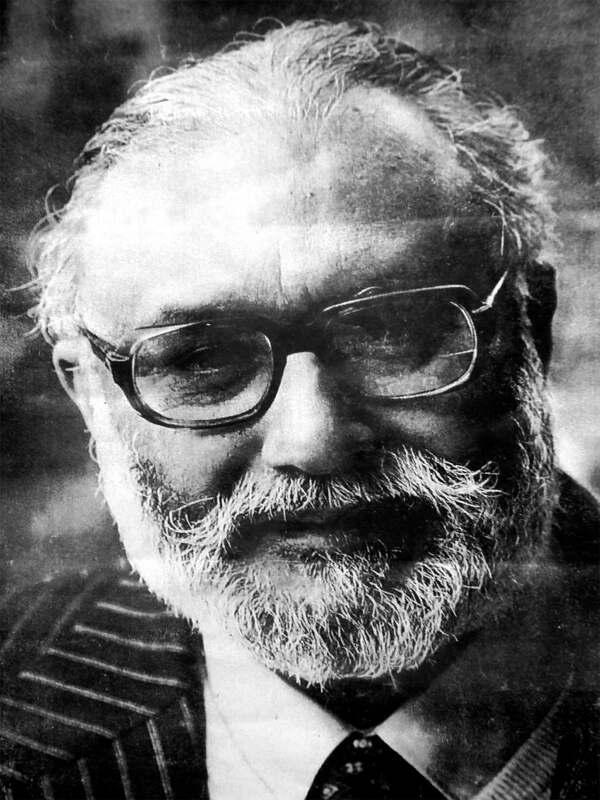 Professor Salam, a society which discourages scientific thought, an administration which has no time or money for science, a bureaucracy which has nothing but contempt for scientists, a history in which no scientist of international significance has emerged for centuries … how did such a hostile combination produce an Abdus Salam? Professor Abdus Salam. I don’t think there is any dearth of talent in our country or the Muslim world. We have succeeded whenever the opportunity has arisen. Every nation has a genius; the genius of the Chinese or for that matter the Japanese is in collective effort; the Pakistani genius is in excellence in individual effort. I would compare that with the French, that’s why I have always preferred the French educational system to the British system we inherited. You have mentioned the attitude of the bureaucracy. They have been trained in the British way, in which they teach classics, generalities to civil servants and believe that after a few lessons in horse riding or swimming, they will be able to lead any department: police chief today, planning commission head tomorrow. This is crazy. Look at Britain itself, it has been devastated by an incompetent bureaucracy, the French and German bureaucrats have beaten them hollow in the European Community. We had problems with housing at that time; because of the refugee problem, there were no houses at all. I said something should be done about it. He replied “Everyone sleeps on footpaths; you do the same!” I asked “What about you; you have a big bungalow.” The answer was “I got that built through my own resources.” Then I suggested that the planning commission should involve scientists in the planning process. The answer was very illuminating indeed. He said, “Look, the scientists are like cooks, who make things on order. I can’t let cooks run the household.” How can any scientific intellectual progress take place when those at the helm have such contempt for it. In the French system, they have polytechnics, where selected young people are educated and trained in various disciplines and hen given important positions in the relevant field. Nadeem. But the problem is not just the bureaucracy? Salam. You are right. There is no respect for learning or intellectual pursuit of any kind. Look at the rate of illiteracy: it is shockingly low, much lower than most other countries with similar problems. The literacy ratio among children between 6-11 years of age is only 45%, while the average ratio of developing countries is 64%; Malaysia has 92%, Syria 93%. Algeria 73%, India 66% and Bangladesh 53%. The ratio at secondary education level (age 12-17) is 13%, compared to a 38% average in the developing world; and at university level it is 3, compared to the developing world average of 9%. This can’t be explained by just government or bureaucratic attitudes or the colonial rule.We are all responsible for this apathy. Most of our political or social problems are also related to the lack of education. If we want to survive in this age of science and technology, we will have to change this attitude. This is possible, and in a short period, even in a generation. For example, it is said that the whole tradition of the British bureaucracy was transformed by one school and one man: Dr Arnold of the Harrow School. Was it Wellington who said that the Battle of Waterloo was won on the grounds of Harrow? Nadeem. But surely intellect and science were not always in such disrepute among Muslims? Salam. Of course not. Muslims have made great contributions to the development of science and philosophy and I have stressed this point on a number of occasions, including my address at the Nobel Prize ceremony, Sarton in his History of Science divides the story of achievement in science into ages, like 450-400 B.C. as the age of Plato etc. From 750-1100 A.D. it is an unbroken succession of the ages of Muslim scientists such as Jabir, Khwarizmi, Razi Masudi, Abul Wafa, beruni and Omar Khayyam. And then for another 250 years, the honours are shared by men of Islam like Ibn Rush, Tusi and Ibn Nafis. But when Islam came to India the scientific tradition in Islam had almost died and on top of this we got illiterate kings who were obsessed with their own grandeur. All they left were mausoleums. No Muslim king spent money on schools, colleges, universities. That attitude still continues. You hear a lot about the grant of murabbas for military officers but have you ever heard of the grant of land to someone for scholastic achievement? Nadeem. Well, sometimes writers or intellectuals do get plots or awards. Salam. I don’t mean that kind of reward. What I am trying to say is that you have to respect learning and give it its proper status to encourage brilliant young people to become researchers, intellectuals and scientists. For this kind of work, you need financial security, you need peace of mind and encouragement from society. Scholarships, prizes and awards — their value lies in the encouragement they give to those who want to pursue scientific research. When Imam Ghazali, at the age of forty, realized that orthodox religious learning was not the right line for him, he decided to give all that up, and his only worry was about his family. He wrote later that he did not have to worry about his children because in Basra it was not difficult for a man of learning to make arrangements for his family to be looked after. 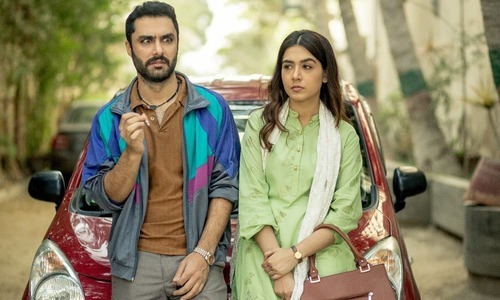 But think of the humiliation suffered by Ghalib in getting a scholarship from the nawabs and of Iqbal, who might have starved or at least been unable to come to Europe for studies, but for a scholarship. There is not a single Mamnoon-ur-Rasheed today. Nadeem. I will come back to my first question: how did you emerge out of this hopeless situation? I am interested in this because in that may lie an example which others could follow. I have had two frustrations in life: one, about the low status of scientists in Pakistan and the other regarding the poor state of science in the Islamic world. Salam. Personally, I was very fortunate to have a father who loved learning. Though he wanted to make a civil servant out of me, when he realized that I was interested in science, he went all the way to encourage me. My uncle, who became my father-in-law later, was also a very scholarly man and had a great influence on me. Then I got some very loving and hard-working teachers. I remember my eighth class teacher, Maulvi Abdul Lateef. Then there was my English teacher, Sheikh Ejaz Ahmad, who forced me to abandon my habit of using big words with incorrect spelling. Later, I was luckily able to come to Cambridge which an ideal place for learning. Hard-working students were respected, not made fun of, and then there were a number of intellectual giants who taught there. The students had the great traditions of Newton and Maxwell to draw inspiration from. How do people become scholars? Because of their contemporaries. Their inner urge is channelled and molded by others like them. That’s why I always stress the need to create an intellectual climate and institutions where scholars and scientists can meet each other. Nadeem. So what do you propose for Pakistan, and what have you done about it? You have been in a position from where you could influence policies, events. Salam. I have had two frustrations in life: one, about the low status of scientists in Pakistan and the other regarding the poor state of science in the Islamic world. I am doing all I can to remove those frustrations. I think the first task should be to create more and more scientists and for that, scholarships, prizes, foundations are the well-known recipes; it is like inventing the wheel. I know quantity is not enough, but I believe that if you have quantity, you can be certain of quality at some stage. Do you know that there are 46 physics Ph.D’s in all 19 universities of Pakistan. London’s Imperial College alone has 150. There are about 45,000 research and development scientists in the whole Islamic world; Israel alone has about 36,000. When I was invited to Pakistan after (getting) the Nobel Prize, I had proposed that my prize money and government money be used to set up a foundation which would give scholarships and prizes to students of science. Unfortunately, that didn’t happen, but I went ahead and set up a foundation with the prize money. Sixty thousand dollars is not much but at least some students are benefiting, about 50 a year, and last year we gave a thousand-dollar prize to a woman physicist; this year it may be a mathematician. Similarly, when I got the Atom for Peace prize, I donated the money for improvement of laboratory equipment in schools and colleges in Jhang, Sahiwal and Lahore. The Nathiagali summer school for physicists, the first of its kind in Pakistan which I helped set up in 1976, is still run by the Atomic Energy Commission. Nadeem. New proposals for the promotion of sciences? Are you pushing any? Salam. Yes, I was impressed by a project started by the Chinese Physics Nobel laureate T.D. Lee, who is a US citizen now. He proposed to the Chinese government that it set up a competition exam, giving exam papers designed by US experts, and select about 120 students to come to the US for Ph.D. He also persuaded 60 US institutions to bear the US expenses for these students. This project has been running for four years and quite successfully. I thought why not Pakistanis? I talked to the people involved in the US and proposed that students in Pakistan be given the same exam and some of them, 12 if not 120, could be selected to pursue their Ph.D’s in the US. I found them favorable to the idea and have now proposed it to the Pakistan government. Nadeem. How do you feel about the Science foundation set up by the Islamic Conference? Salam. That is a breakthrough; I am very happy with that. In fact the initial proposal was much more ambitious. I was able to persuade Mr Bhutto at the time of the 1974 Summit to propose a foundation with a capital of one billion dollars and the Summit accepted it, but nothing happened after that. Then in 1981 General Ziaul Haq agreed to raise this matter again at the Taif Summit. The foundation was set up but the promised money was reduced to 50 million dollars. You would agree that the Muslim governments can afford more than that. Nadeem. Can I ask you a rather personal, or let us say, sensitive question. How did you react to the recent Presidential Ordinance about Ahmadis. Salam. I don’t want to talk much about it but I will say this much: that I was absolutely amazed. When I heard this news I was attending a conference in Paris on Islam and the West: Accord and Discord, where I was invited by the secretary General of the Islamic conference, Habib Chatti, to represent the Islamic point of view and I felt very honored to do that. I didn’t change a word of my paper. The ordinance doesn’t change anything for me. I will carry on my work and carry on loving Islam and Pakistan. I was born a Pakistani and I will die a Pakistani. My genes were formed here, my forefathers have lived in this land for more than 200 years and accepted Islam 700 years ago. No one can deprive me of these rights. Nadeem. It has been said that your quest for a unity among the four forms of energy has its origin in your belief in one God, and that if you succeed in proving that all energy forms are one, it will be a scientific as well as religious breakthrough. Salam. One’s thinking is based on the cultural tradition one is brought up in. Mine was that of “Tauheed” and in my thinking the spirit of oneness has played an important role. It is interesting to note that the two other scientists who shared the Nobel Prize for this work were both Jews, who also have a unitary concept of God. But in science itself, there has always been an attempt to have as few principles as possible. The structures can be large or complex, but the principles should be essentially small. Take the principle of genetics, which has shown that all species have the same genetic principle. This century’s greatest achievement has been identifying four fundamental forces: electromagnetic, gravitational, weak nuclear and strong nuclear forces. We had predicted that two of these, weak nuclear and electromagnetic forces are the same. That has recently been proved in a spectacular way by the CERN laboratory in Geneva and more experiments are continuing. The W&Z theory has now become background for other theories and research. Our next goal is to prove that the strong nuclear, gravitational and electro-magnetic-weak nuclear forces are all one, single unified force. But it may take time, many years perhaps, to prove it by experiments. I hope it will be in my lifetime. This article was originally published in the Herald's August 1984 issue. To read more subscribe to the Herald in print. PTI has delivered on everything it promised! ...And all Pakistanis are proud of you! What a truly beautiful and extraordinary mind he was. Again and again, the same old story from this news media. Quite boring! May his soul rest in peace. Ameen. Hats off to your thoughts, Salaam Sahib. Never let the principals leave you, I pray. Great reading . My salute to the great soul born into our subcontinent. Wish we had more Nobel Laureates in our countries and better academic conditions to push our society in the right direction. and then I will be humiliated, insulted in my own Country while the World will remember me, honour me, name landmarks in my name. Great article, indeed Dr. Abdus Salam is a great person/scientist/Pakistan. Too bad the country didn't appreciate him due to other petty reasons, but that is Pakistan's loss. A great man & scientist. Still waiting for due honor which we never gave him. Sad! We are proud of you sir. Pakistan need talent like you. A giant we feel proud of still today. A phenomenal scientist sacrificed on the name of Islam and abandoned by our country. Unfortunately, our country has never honoured our scientists. Science has no boundaries and no religion. 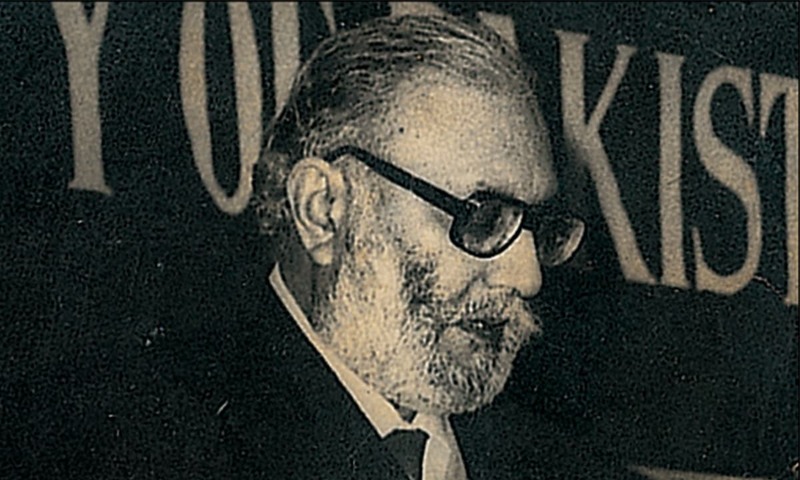 It is sad that Pakistan did not benefit from Prof Salam's achievements. never honoured him the way we should have. I myself being a scientist and reasonably successful in my career still draw inspiration from people like Prof Salam and had tears in my eyes while reading this article. But what Pakistanis did to him, even to his grave? Great man. The only Muslim Nobel laureate in Physics. Salute to you sir! No doubt he was a true and a patriotic Pakistani. He was not only a genius but a patriotic Pakistani. 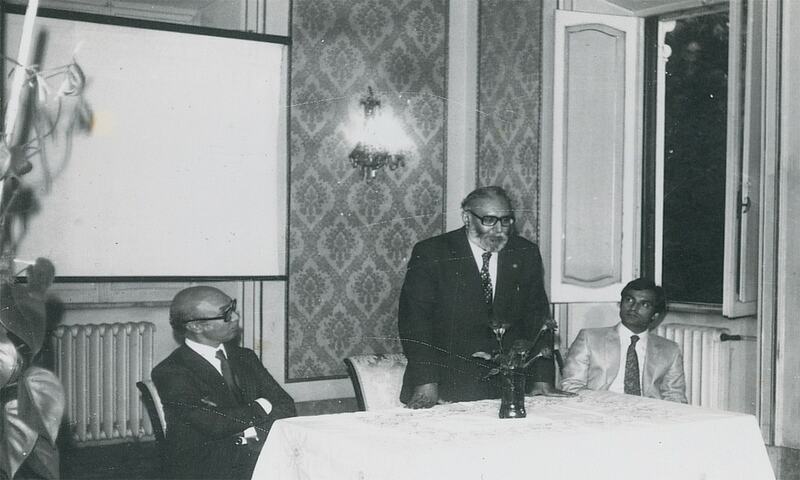 Dr Abdus Salam will always be admired and honored by everyone. Pakistan loves you too sir. Very interesting. Thanks for publishing. Greetings from India! @H. Khan We need to be reminded about our pervasive bigotry often enough so that one day we may be more civilised and appreciate talent no matter what their personal religious beliefs are, which by the way are inherited from your parents. Sir My only regret is despite the glory he brought to the nation of Pakistan , even Professor Abdus Salam's grave was not spared . He was a proud Pakistan but Pakistan not accepted him a Pakistani simply because of being an Ahmedian. RIP Professor. We here love you and respect you. Beautiful presentation of Abdus Salam, my Ph.D supervisor . 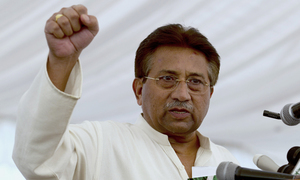 He is responsible for all my achievements and of thousands others from developing countries including Pakistan. We salute you Sir and while I was too young to understand how you were treated by your fellow countrymen, we as a nation should apologies to and honour one of our greatest heroes. We, the Pakistanis, are proud of you, Sir. A great, great, great man!! Thankyou! Dr.Abdusalam, you will not be forgotten! and forgive us for what we have done to you. Great & true son of the soil and shining star of today's physics. You loved & honored your homeland but couldn't get due return, unfortunately. We salute you Sir ! @Ishrat Ansari This is an interview not an article. There are hundreds of people with contributions, if the he had mentioned all of them, this interview would have become a book. He did not need Pakistan. Pakistan needed him. All Pakistanis who were and are real genius, always want to give back to Pakistan but unfortunately Government most of the time is Anti Pakistan and Anti progress; The Feudal mindset that does not allow schools in their villages. Dr. Abdus Salam speech at Nobel Prize event was remarkable. That must be showed to students in school once a year at least. Regardless of his beliefs which I differ, I have the utmost respect for this accomplished scientist and very proud Pakistani. He should be celebrated as a national hero. A hero that the Pakistani nation forgot. A true story of a great muslim, a great patriot and a great man. It's natural truth. We are all want to die our own country, because everyone love his/her own country. He was a gem. We Pakistani never realized it and still do not honor him the way we should have.Other countries would named streets and universities and institutions after him. @Ishrat Ansari Does not compare with Dr Salaams achievements! Yes, I had tears in my eyes too. Dr Salaam says he was born a Pakistani and will die a Pakistani, but this is only partly correct - he actually died as one of Pakistan's great, most precious treasures. An amazing man, but a very sad story. Please do not hate a talented person based on his religious association who has through out has life contributed more then any body to the scientific community of Pakistan. Let's for once put a mirror in front of us. Abdus Salam was great. Are we? @Zak Really? And you will admire only geniuss but will not do anything for the poorest people who are totally helpless and in no position to do anything for the country and who need help from the country? Need the nation do anything for such poor people? Jhang - the intellectual capital of Pakistan, Heer Ranjha - the love capital of Pakistan. How proud and happy that makes me. A great, great Pakistani. How can we ever forget him? @H. Khan This is to remind pakistani about their mistakes..
A great mind and a great Pakistani gift to humanity; I bow to you Sir. Very impressive interview specially for today's youth that is dying to do something for the country. Thank you Dr. Salam. You will always been son of Pakistan. We will defeat the dark forces of the fundos one day and we will officially honor your love for your homeland with love.